Legit ATI 512MB 4870 HD benches? 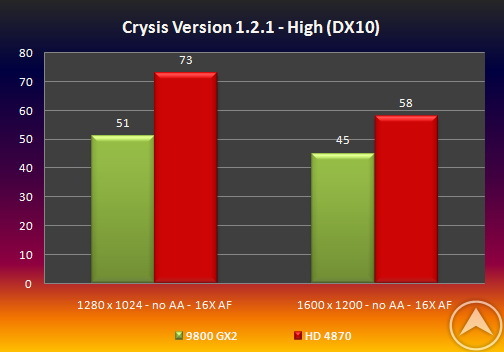 Some runs against the 9800GX2- Cheers to ATI if these are for real And so begins the summer's GPU war. "For the high-end enthusiasts segment., Nvidia will launch GeForce 9900 GTX and 9900 GTS in July to replace the 9800 GX2 and GTX. There is a die shrink on G92 for GeForce 9800 GT cards. Nvidia has also cancelled plans to launch GeForce 9800 GTS because there are simply too many high end GPUs. We told you earlier, GeForce 9600 GSO will launch on May 13th which is just a rebrand of the 8800 GS. The rest of the mainstream and value GPUs like 9500 GT, 9500 GS, 9300 GE and 9300 GS will come in June-July timeframe." 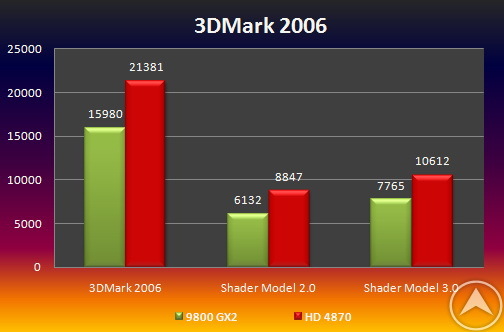 The table from VRzone shows NVidia's alleged release plan for the summer- I am sceptical that the gt200 would be called a 9900- I would expect it to get a new naming system to highlight it as a new process- I would have thought that if NVidia released a 9900, it would be the final rehash of the exisitng series. Last edited by Babrbarossa; May 3, 2008 at 08:59 AM. ME SO HAPPIES!!!!!!!!!!!!!!!!!!!!!!!!!!!!!! If this is real! Man I am so happy. This summer is going to be a nice upgrade and best of all it is all covered by my tax refund. I could do a full system upgrade if I wanted. This looks awesome! If these are real, I'll definitely by a 4870 if not a 4870X2 (unless of course the 9900GTX/S is extremely awesome, which I'm somewhat doubting). I'd have the same question, really. My own rig with a 3.00 GHz quad + 3870X2, scores about 16k-ish on 3DMark06 with the latest drivers. With the increase in guts that the 4870 generation is supposed to have, 21-ish seems pretty reasonable for the 4870X2. But a 21k score on a single core card, nevermind those other scores - DAMN. Mind, there's been some claims that they've finally figured out how to make two cores use the same video memory, which might make a big difference if they were true. I will not say more but that is N...O....T legit. If anything, it is a semi-educated guess. Anyone who has half a brain can make a guess as to the performance of an unreleased card by posting scores which are above that of the current competition. They will then say "hey, I was RIGHT" if the scores are somewhat right or they will fade into the background if their "scores" are proven to be absolute BS. Last edited by SKYMTL; May 3, 2008 at 07:05 PM. Attention: The upcoming 4000-series cards will feature an anti-gravity system to help you move your case around. Remember everybody, if it actually happens, you heard it from me first!